A remarkable improvising string trio treat from Montreal and Amsterdam! Cellist Tristan Honsinger started improvising in Montreal more than forty years ago, prior to his decisive move to Europe, where he’s been at the centre of improvised music activity ever since. So this group represents an oblique sort of homecoming, as well as an introduction to some of this city’s finest players today. Their rapport is obvious, the results a satisfying mixture of musical empathy and creative conflict. Tristan plays with characteristic daring from his reserves of readymade tune fragments and shards of poetry and into the protean unknown that is the foundation for the best group improvising. Josh Zubot and Nicolas Caloia don’t merely follow him there, but provoke him – and each other – in ways that are, by turns, subtle, assertive, and irreverent. A superb encounter. Honsinger is a particularly interesting artist because he has worked with so many first generation improvising artists and has an intimate knowledge of the regional differences in approach. For example, Honsinger has played extensively with Derek Bailey and Evan Parker in the UK; Misha Mengelberg and Han Bennink in Holland; Peter Brotzman and Peter Kowald in Germany; and Cecil Taylor in the USA. He has also spent considerable time in Italy and Japan. Currently Honsinger regularly gives workshops and master classes with the ICP Orchestra. In the past the workshops he has given in Montreal have served as a catalyst for a number of important artistic creations, including Jean Derome’s “Oiseaux”. In fact, this entire tour grows out of an informal workshop Nicolas Caloia attended in 1999. 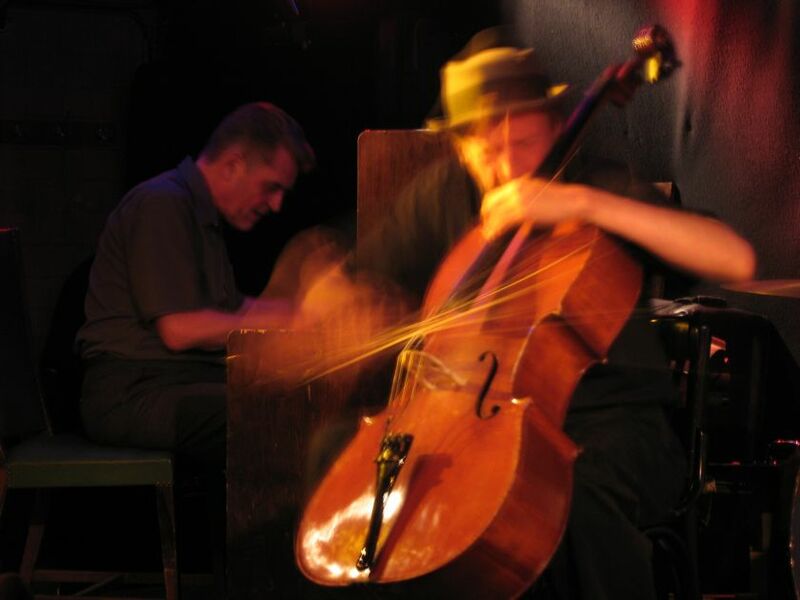 Since the early 1990s, bassist Nicolas Caloia has worked at creating a contemporary music generated by using accurately composed textures to channel collective improvisation. The goal is a music that erases the lines between improvised and composed, pop and avant-garde, good and bad. He hopes this music will satisfy the body, the mind and, above all, the heart. He has worked as a performer, composer, and organizer in Montreal and has toured in North America, Europe, and Asia. 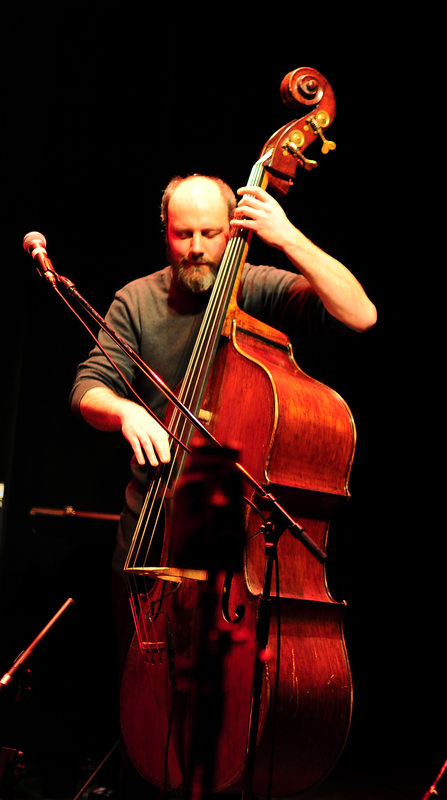 He has performed and recorded in a vast array of contexts with the most important members of Montreal’s creative music community as well as with internationally renowned musicians like Marshall Allen, John Butcher, Joe McPhee, Steve Lacy, Hassan Hakmoun, Tristan Honsinger and Pandit Hariprasad Chaurasia. His concerts and recordings have been critically acclaimed both at home and abroad. Currently, the majority of his work as a composer and improviser finds a voice in: The Ratchet Orchestra – a 30 piece big band, Tilting – the Nicolas Caloia Quartet, Ring – a sextet, Spell – a 10 piece marching band, Mercury – a duet Lori Freedman, as well as in solo performances. 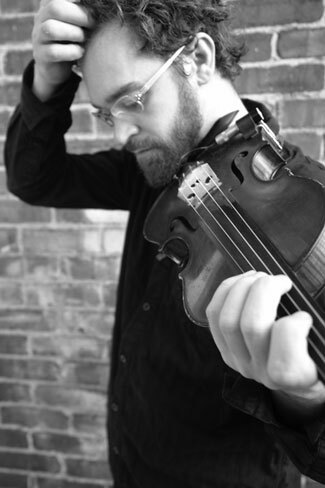 Josh Zubot fuses many styles in his violin playing, ranging from jazz, free jazz, avant garde, contemporary classical, folk, improvisational, rock to electronic. He has developed through the avant-garde scene in Montreal producing his own albums: Subtle Lip Can, Mendham, and Land of Marigold. Over the last decade, Josh has played with numerous different groups and individuals. Some collaborations were with Chad VanGaalen, Lori Freedman, Patrick Watson, William Parker, Pierre-Yves Martel, Michael Blake, Bernard Falaise, Rainer Wiens, Michel F Coté, Sam Shalabi, Miles Perkin, Myra Melford, Marshall Allen, Fred Frith, Matana Roberts, Jean Derome, Malcom Goldstein, Pierre Tanguay, Martha Wainwright, John Butcher, to name a few. 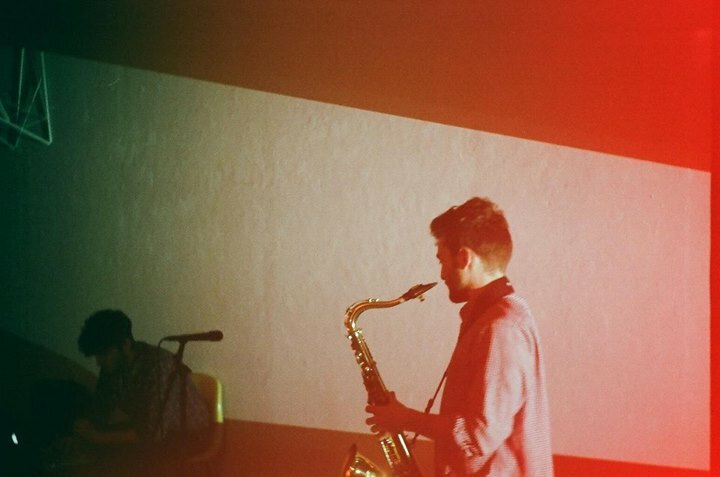 Aaron Hutchinson and Connor Bennett are Eschaton, a soulful Hamilton noise duo, whose music is driven by spontaneity and improvisation. Eschaton creates thick textural noise with vulnerable horn expressions, narrative soundscapes that breathe, bend and distort. They have released four cassettes, “\” and “>” in 2013 and “∆” and their 2/2014 tour tape out of the HAVN label and are on the upcoming Perdu Hamilton release “~ Vol. I ~”.